Health and Happiness Through Movement. I love to lift, plain and simple. Weight on my back, in my hands and the sound of jingling 45’s clears my mind and offers me the hour of freedom some find in other pastimes. I dont just get through lifting, I get from it. I don’t count the reps, I make the reps count. If we can have men lauded for spending their lives with “hobbies” like mastering tea ceremonies or brewing beer, then why can’t I lift in peace without hearing I dont have to? We are allowed to make our choices and I choose IRON. I dont need any one telling me I can’t or shouldn’t do certain lifts. Thousands of people are congratulated for getting shocked with electric barb wire at a mud run. The stats show us sports are dangerous. Yet I don’t see internet articles raging about shutting those down anytime soon. Throwing a ball is bad for you. So is a cutting movement to the side. Full tilt collisions will give you a concussion. Want to get hurt, do those. But is the Squat, Deadlift, Bench and Overhead Press really the problem? I don’t think so. Although I have three degrees in health and fitness, my first form of training education were articles about and movies featuring Arnold Schwarzenegger. Know what I learned? 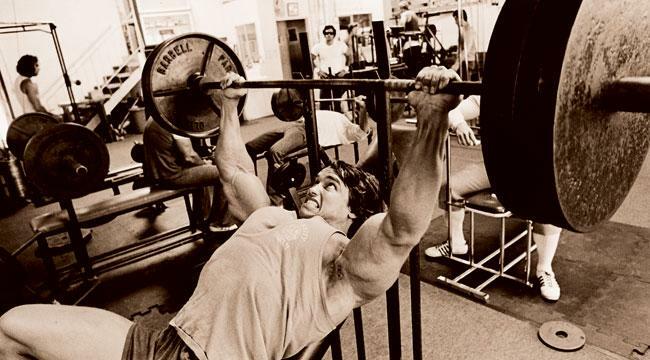 Use big lifts and lift heavy. Know what he did for years? The same thing, because they work. As I originally learned, if you want great knowledge, go read an old book. Seems like if an “eastern block” manual was found in some Russian cave like a Dead Sea Scroll, everyone would be listening. Well, just pretend the rest of this article was translated from Cyrillic into German into English and you will value it more. To review, I came from a time when there weren’t many training books to read, any websites to surf and the biggest guy in the gym was the professor. I was given salt tablets and thought shirts shouldn’t have sleeves. Did I make mistakes? Sure, I made a ton of them. But that is also what made me what I am now. But one thing stayed consistent. I used big lifts to always place resistance through my body. 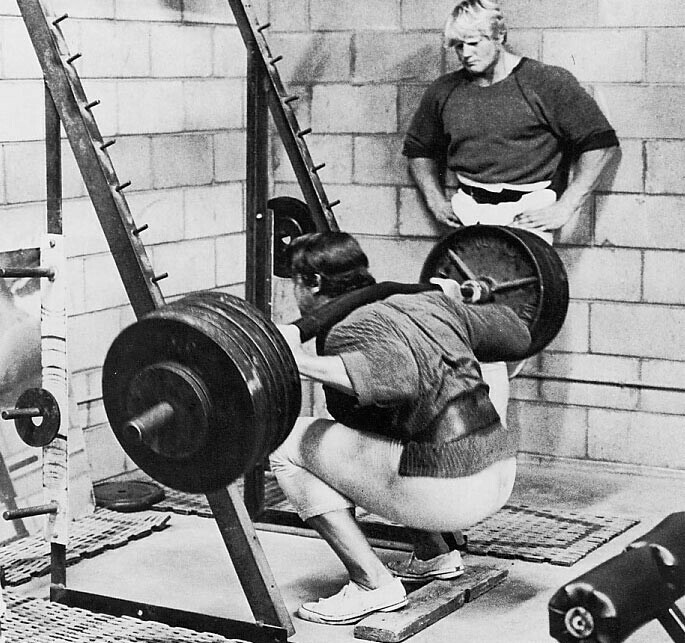 When the first internet articles started the information and questions revolved around how to increase the squat, bench, dead and sprint faster. Since then, so much “new” training has joined the dance. There have been Swiss Balls, Bosu Balls, lacrosse balls and other tools that have seemed to try to remove the “balls” from lifting. As people got into their skintards and jumped into corrective exercises, postural exercises, Yoga and Pilates, I just kept lifting heavy. Good thing because as you will see below, training and the basics will come around full circle. Some people may not agree with the life cycle, but I have bad news for the fitness industry: there are no awards for creativity when it produces nothing. The real reward comes from producing consistent results. And the results people want are fat loss, strength gains and to feel good. Want that? Make your plank a pushup. Weight your chins. Bend some bars. 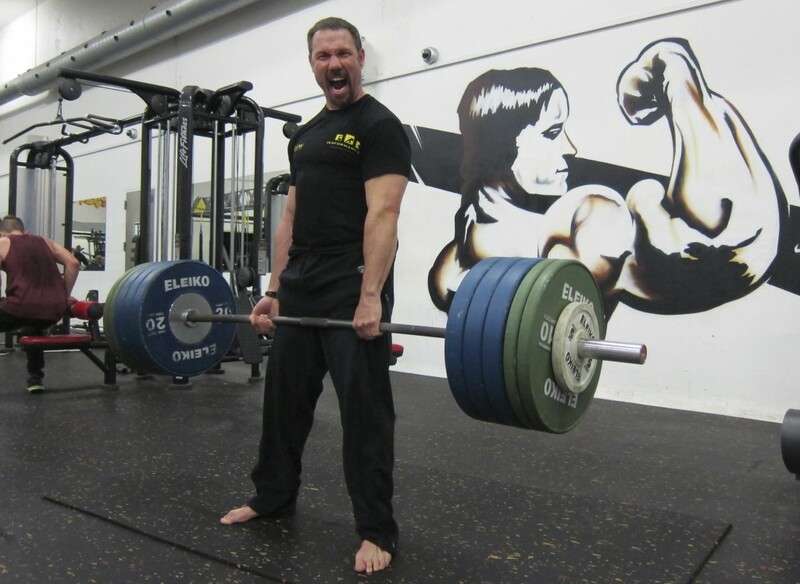 I believe great training starts and ends with a bar and about 400 pounds of plates. I get it that it may not be exciting, but neither is the small set of arms that comes with much of the fashion, fad and “science” today. Face it, nobody ever died of tight hamstrings, tight lats or having their knees go over their toes while squatting, yet so many people spend time arguing what is the best ways to fix them. But people do, however, die every day when they lose muscle. Not convinced of that? Go to an old folks home and look around. Most of the people there won’t be too fat or too skinny. The ones that preserve muscle mass and keep the strength will live the longest. Still not convinced, read up on legends Jack LaLanne or Frank Zane and check out their physiques at certain ages. Break your hip and there is high risk you lose that mass and check out. Bones get weak when there aint no load. I used to say there are no silver bullets in training. Maybe silver bullet is simply put high resistance through your body and crack a sweat 3-4 times a week by simultaneously getting your HR up. Resistance is what we were designed for. Remove it and suffer the consequences. Hey, if you don’t like it, don’t do it. If you don’t care how much you can lift, don’t do it. But to remove weight or exercises from training sounds like a little too much weak sauce on your beloved avocado and bacon for me. And hey, unless having the body of a marathon runner becomes the rage, I still think the heavier weight can help your confidence too. Face it, the world (and many of your friends) don’t want you to be healthy. When I explain the Resistance, I state that resistance is not only on both sides of us, but it is also within us. Not only are we battling the inaccurate info about food, the push for sedentary lifestyle, and the constant marketing and flow of products designed to make people unfit, but also on the other end of the spectrum of what is good exercise. Today people may either be doing nothing and eating the wrong food, or getting electrocuted with barb wire at a mud run or getting terrified seeing passed out people on the ground as a result of “exercising.” Today people are being convinced that exercise is pain and that it can only be productive with soreness and fatigue. Even the word “Bodybuilding” has seemed to become a curse word! Time for a change. The strongest Resistance to overcome, however, comes from within. You will find that the person most often responsible for holding you back is actually you! People often give themselves a “no” before they allow anyone else to. In the mission to promote fitness and help people exercise, we are outnumbered. We do not share the same beliefs as the common person today. Face it, if you read this site, you are not “NORMAL,” but you cannot let this deter you. Someone has to take a stand against the rise of obesity, diabetes and the decline of self esteem. Resistance is essential for progress in the gym. We all know that. Without resistance placed through the muscles, tendons, joints and bones, strength and growth will not occur. So, we must recognize Resistance as our ally, not our enemy. Just as you get excited for more weight on the bar, you need to get excited the same way when you meet a difficult person trying to push toward the direction of poor fitness. 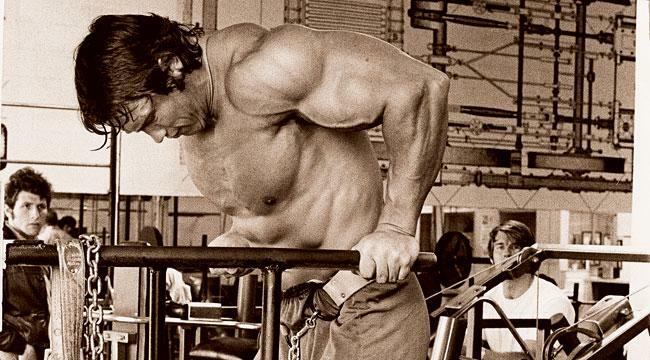 With this mindset, you become like Arnold, a champion of fitness on a mission to help others. And with the right passion and mindset, Resistance will be unable to stop you. However this article resonated with you, it will tell you what side of the fight you are on. Time to step up to the rack with callused hands, load the bar and get into the hole. 10 lateral hops over a 24 inch hurdle, 10 TRX Rows, 10 Burpee’s from the floor, Farmer’s walk with 53 lb kettlebells about 25 yards down and back, 10 medicine ball slams. 10 reps of a 1 arm single leg deadlift with 30, 35, 35 lb dumbbell, 10 1 arm squat curl press with same dumbbell, 40 alternating band pulls, 10 kettlebell swings, 10 ab wheel roll outs. Finished off with medicine ball power rotary tosses against the wall. 10 on each side being perpendicular to the wall and 10 on each side facing the wall.